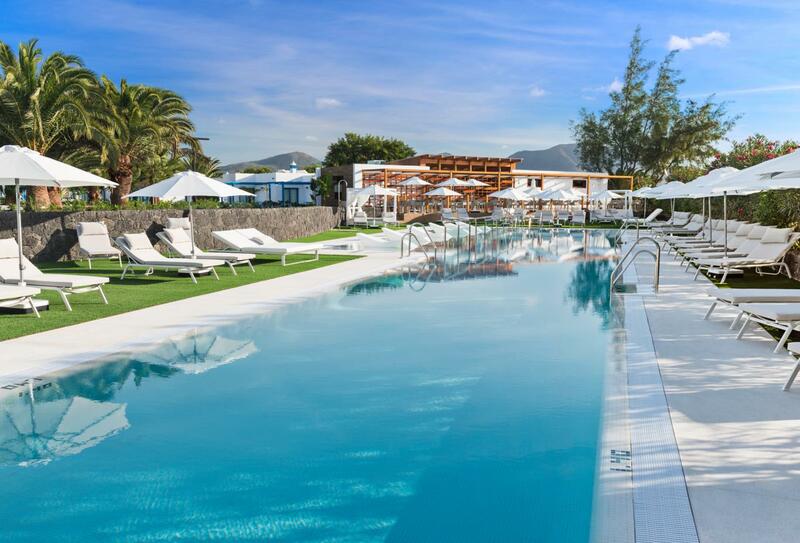 Situated inside the Elba Lanzarote Royal Villa Resort, the Elba Premium Suites is a more adult-friendly focused resort. 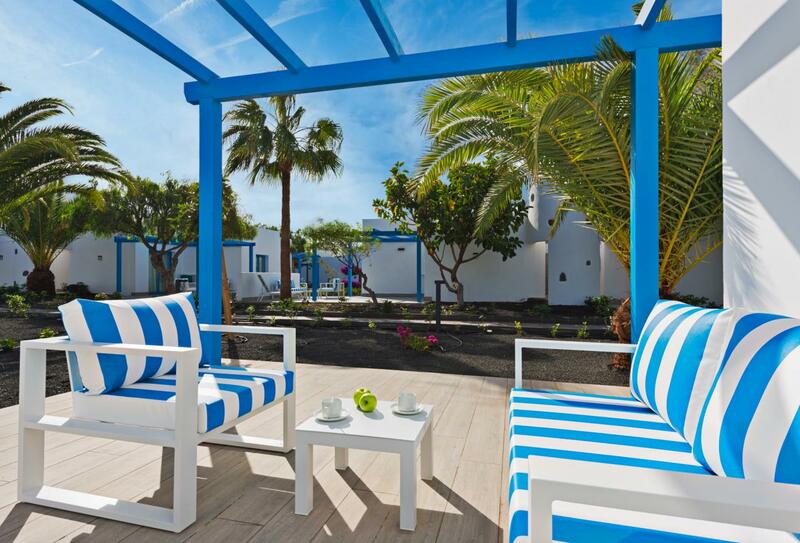 The collection of rooms and suites resemble a typical Lanzarote village with its shiny white walls and emphasis on volcanic rock. 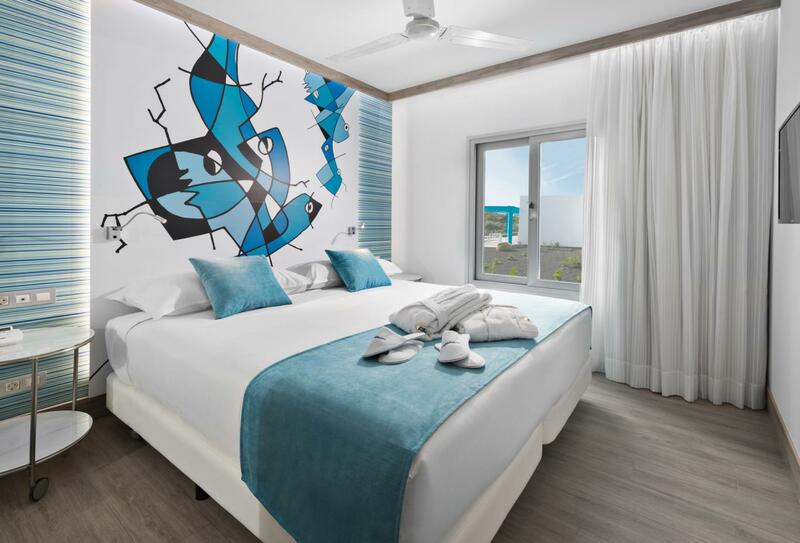 120 rooms and suites are gracefully decorated with artwork and dashes of vibrant colour. El Mirador and La Braserie, two restaurants-come-bars at the resort are excellent venues for late night drinking and French cuisine. Tennis and beach volleyball are two popular sports here, available for all guests to be a part of. 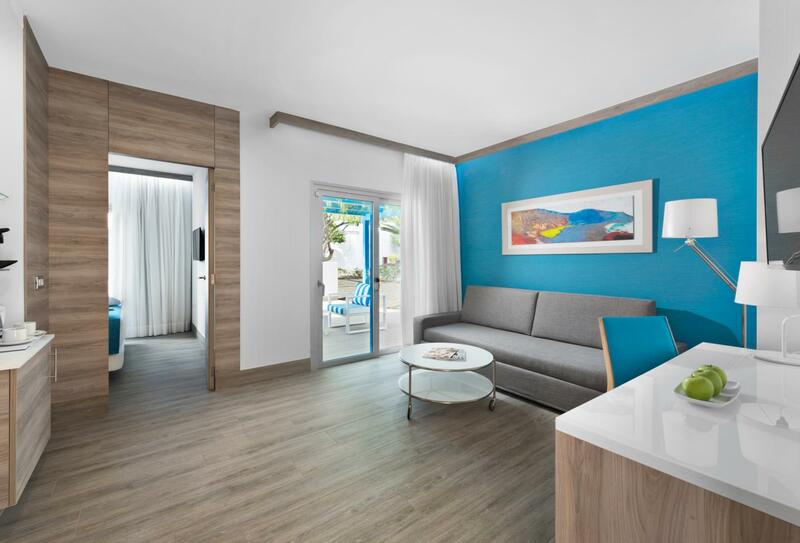 Modern and spacious, these Junior Suites comprise of a lounge area and a bedroom. Splashes of colour and artworks dot the suite, which otherwise employs a simple, elegant décor. Each suite features a furnished terrace. Junior Suite Prestige rooms share the same magic as other Junior Suites, but with an astounding range of additional amenities. 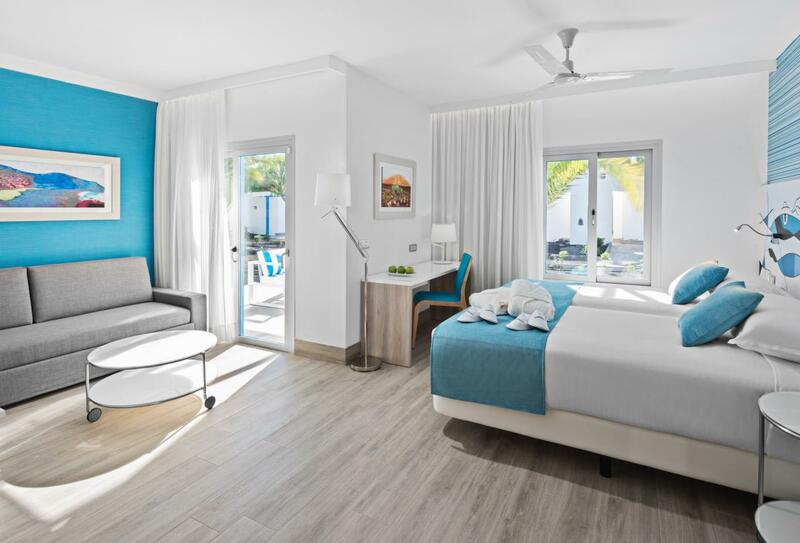 Alongside a furnished terrace and lounge, the Junior Suite Prestige also offers unlimited entrance to the Spa, discounts on spa treatments, late check out and Elba VIP collection amenities. A harmonious suite outfitted with a bedroom and separate lounge area. All suites feature a terrace, with views of the hotel gardens. 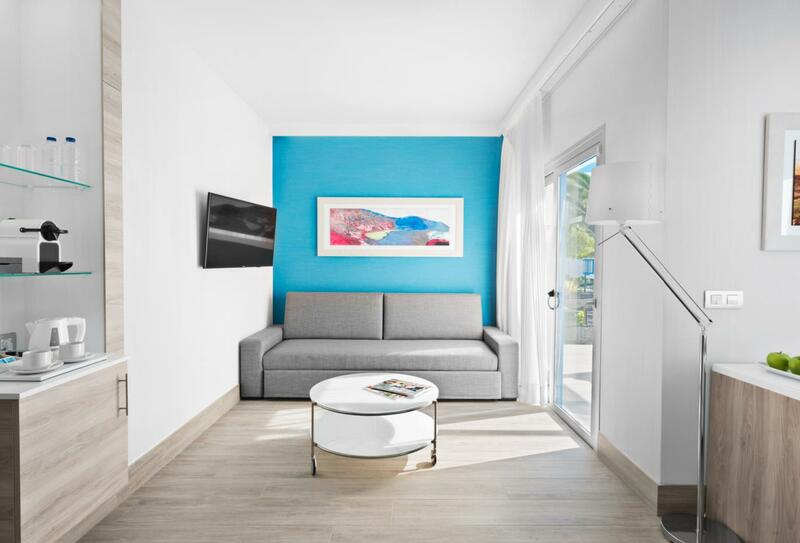 Adorned in a mixture of gentle turquoise colours and a streamlined sense of style, these Suites are private, spacious and outfitted with a separate lounge and terrace. Guests staying in a Suite Prestige will be treated to a menagerie of additional amenities, such as spa discounts, bellboy service, exclusive Elba VIP collection amenities. The ideal location for after dinner drinking beneath the moon and stars, El Mirador is opposite the main reception and offers panoramic views. The bar and restaurant is exclusive for clients of the hotel and serves a select breakfast buffet and meals for lunch and dinner. Open 08:00 – 10:30, 13:00 – 15:00 and 18:30 – 22:00. 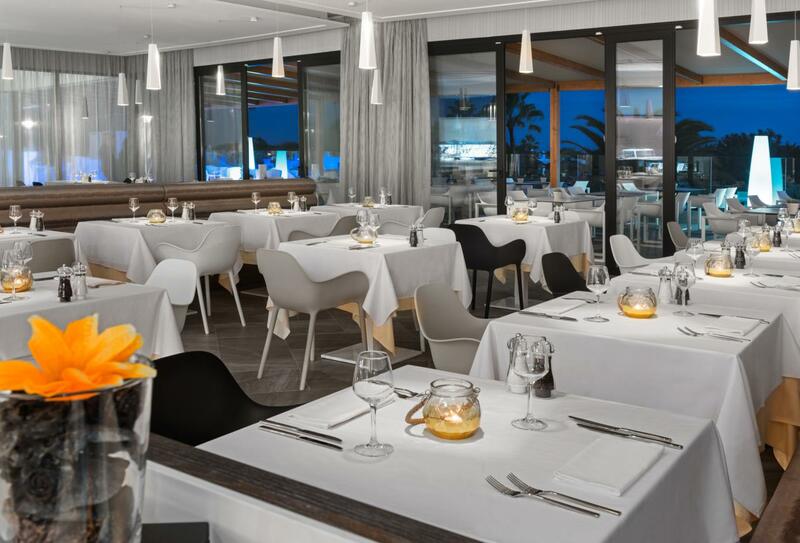 Priding itself on its personalised and exclusive eservice, Los Jameos serves a number of meals and a variety of snacks. Open 10:30 – 18:00. Located in the central Plaza, La Breaserie specialises in French cuisine, particularly its delicious fondues. Meat and fish dishes are served using French recipes. Open 10:30 – 18:00 and 19:00 – 22:00 one day a week for adults only. Sample the finest Italian cuisine in a convivial, friendly restaurant. Fresh pastas and pizzas join traditional Italian dishes to provide a palette of exciting food. 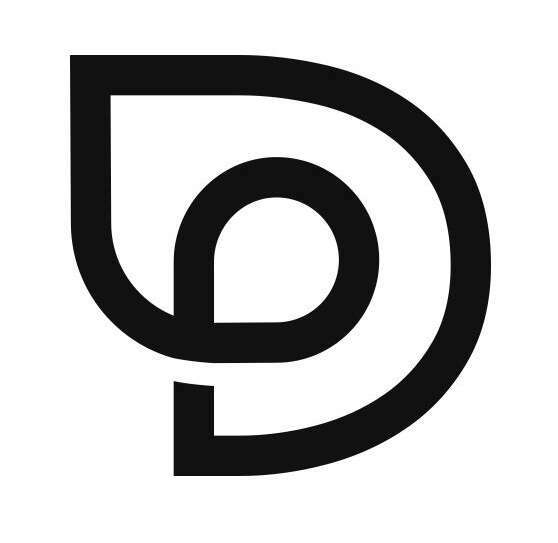 Open 18:30 – 22:00 one day a week for adults only.